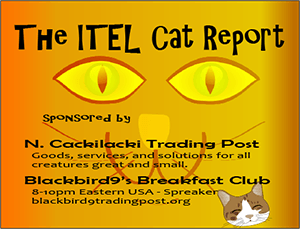 John Kaminski, Internet Essayist, Special 2 Hour Interview – ITEL Radio 6.20.15 | Inside the Eye - Live! John Kaminski, internet essayist extraordinaire, joined Inside the Eye – Live! on Saturday, June 20, 2015, for a 2 hour special interview where The Fetch and John Kaminski discussed a wide variety of topics. John joined the show in the second hour (11am Eastern). Hour number one included a brief historical tour of the storied Lord Stanley’s Cup and an update on critical developing international geopolitical events. 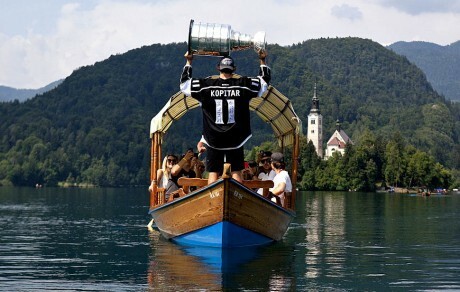 JESENICE, SLOVENIA, FRIDAY, JULY 6, 2012 Ã±Ã± Kings center Anze Kopitar raises the Stanley Cup as he floats across Lake Bled, Slovenia, with family and friends. Here at Inside the Eye – Live!, we are aficionados of the sport of hockey. It is a faced paced, hard hitting, and most importantly – honorable sport in a world where professional sports has largely trended to the thug mentality of the inner cities. The NBA and NFL come to mind. You won’t find too many players from the ‘hood in hockey, and we think that is a good for the integrity and honor of the sport. The game is a “white man’s sport” which is played in a clime that is the natural domain of “white people”. And after all hard fought battles within the Stanley Cup tournament, every match is closed with a gentlemanly “shake of the hands”. “Chivalry” and “honor” are traits that whites should be proud of and should continue to “lead by example”. With the recent winning of Lord Stanley’s Cup by the Chicago Blackhawks, Inside the Eye – Live! highlighted some of the intricacies of the sporting world’s most unique and treasured trophy where the very touching of the trophy is only reserved for those players who have actually “won” the trophy. Quite a bit more fun facts filled the first hour. We began the interview discussing “sports” and how sports is a form of drug that keeps far too many Americans in a stupor and isolated in such a manner that prevents many from viewing the political world under which they live and ultimately must submit to. The interview then moved into a small discussion about the state of the alternative media. In John’s opinion, the “truth movement” is imploding with far fewer people speaking about “the Jewish issue”, although the “volume” of those who do speak about the Jewish issue seems to be increasing. John bases his opinion largely on the “talking heads” and “writers” openly discussing the issue of the Jewish question. John also sees that there is far too little “elites” who are able or openly discussing the Jewish issue, and this translates into a very weak resistance to the openly antagonistic internal enemy that is Jewish power in the United States and other Western democracies. However, some of us are noting that the degree to which social media volume has been turned up is very clear. 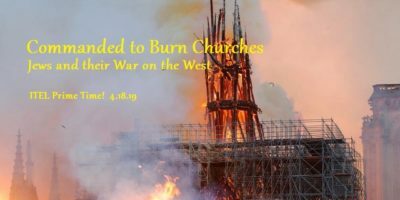 Another issue discussed is the planned implosion of the United States. One issue raised was the “desertification of California”, wherein weather engineering is preventing rainfall from reaching California. Kaminski’s view is that the model for America is Gaza, and the end goal is the complete destruction of the United States. To highlight this issue, John points to such cities as Detroit, Camden, and others. 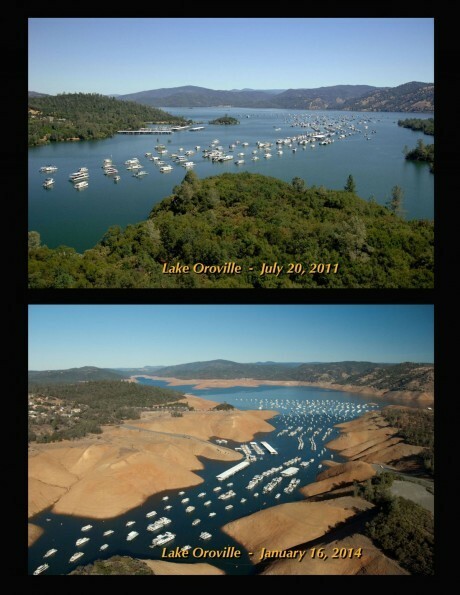 Regarding California, due to the drought, reports are trickling in that property values in some areas are plummeting and the risk of property valuations plummeting further can be seen to be directly tied to the supply of water. Further, there is the small issue of marine collapse along the Pacific Coast, be it from Fukushima or other issues. Combine all of this with economic challenges facing America’s population and one has to wonder if the Deagel report showing a massive die off of America’s population isn’t something that America’s elites, or global elites, is actively working towards. In some ways, it is fair to say that John has become pessimistic regarding taking on Jewish power in America. 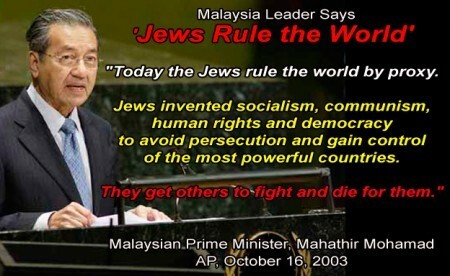 His opinion is based on his observations, one of which is the reality that it is very hard for non-Jews to work together to form alliances able to vocalize and create critical mass political constituencies. John notes that within Jewish organizations, such dissension is not found. Jewish groups en masse, at the end of the day, work towards the same goal and that there is no need to formally recognize collaboration within Jewish organizations. This collaboration is implicit within Jewish social structure. Within non-Jewish groups, squabbles over narratives and “turf” prevent inclusiveness and collaboration. 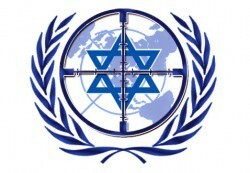 In addition, non-Jewish organization often has to deal with Jewish infiltration that often results in diversion and dissension that neutralizes non-Jewish groups. John presented some fascinating insights on this topic. With two hours of discussion, this show presents a wide variety of topics for listeners to ponder and reflect upon. 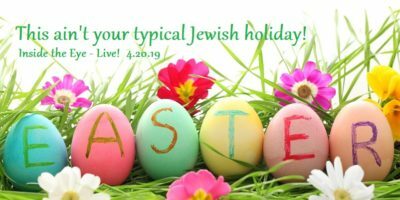 As John curtails his radio presence, this show presents John in a relaxed atmosphere that John Kaminski fans will certainly enjoy.